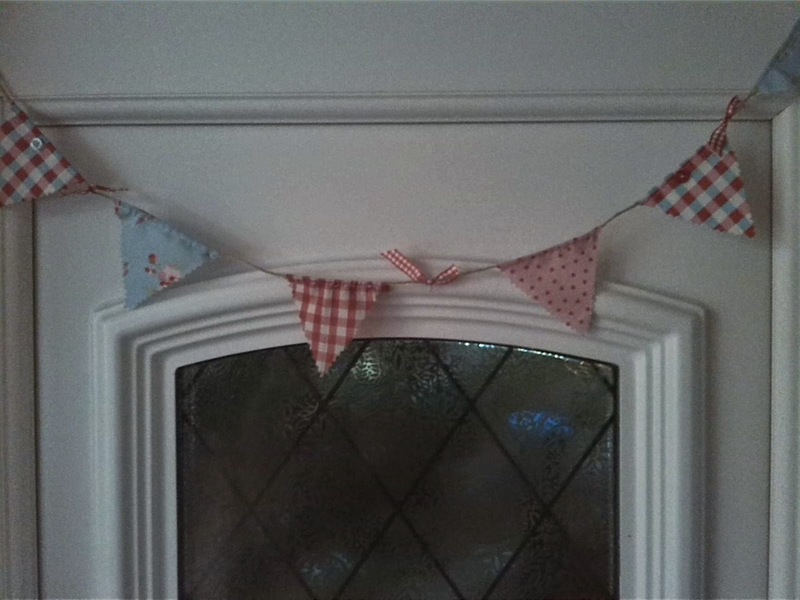 Bunting always makes a house into a home, and its something i had always meant to make for our house, but never got round to sorting it out, so when i was given a Mini Bunting kit from Tea And Crafting i just knew i had no excuse anymore. So on a quiet (if that is possible in my household) sunday afternoon, i finally opened the kit to find everything i needed. 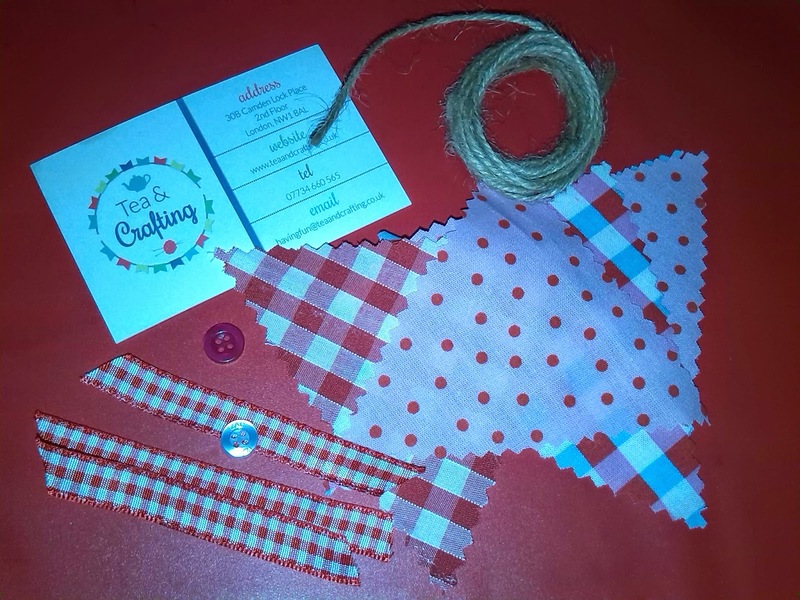 you take the triangles and stitch along the top (about 3/4 of CM), then you thread the string through, But personally i found it easier to fold the fabric over the string and sew it in as i went along (make sure you dont actually sew the string and you can move the bunting along the string). Decorate the bunting with ribbons and buttons and simply hang it wear you want. This one is to hang over Tillys bed as she has claimed it! You could make it on a larger scale and if you use pinking shears, it gives you the zig zag appearance and means you don't need to hem the bunting too. 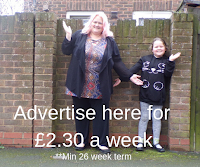 Collect old clothes and scraps of material, you can make a little keepsake out of your childs clothes and give them something to cherish forever. Tea And Crafting are based in Camden Lock, London and offer classes and workshops for everyone (except children). You can even have a hen party there! If you cant get to one of the workshops, then you can order kits to make at home , these start at £10 and contain everything you need to help make a craft. You can order these online and take a look at the blog for some great needlework ideas.